Talk about a labour of love. Here, former Rolling Stones bassist and full-time blues aficionado Bill Wyman picks 46 of his favorite classic blues songs (nothing goes past the early 1950s), one track each from some of the most significant blues artists of the past century. 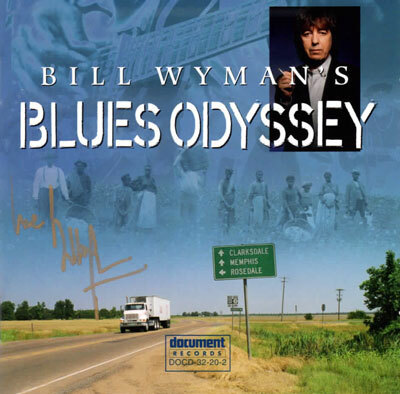 The CD insert is signed by Bill and comes with a complimentary BILL WYMAN’S RHYTHM KINGS: Bootleg Kings CD! “Wyman, it turns out, has great taste. There are plenty of superb performances from the likes of Bessie Smith, Charlie Patton, Robert Johnson, Muddy Waters, Elmore James, BB King – the cream of the crop.